Sharing the insights of the entire Intercom team has always been one of the core principles of this blog. If you read an article about product roadmaps it’s been written by one of the product managers who has helped shape our processes. 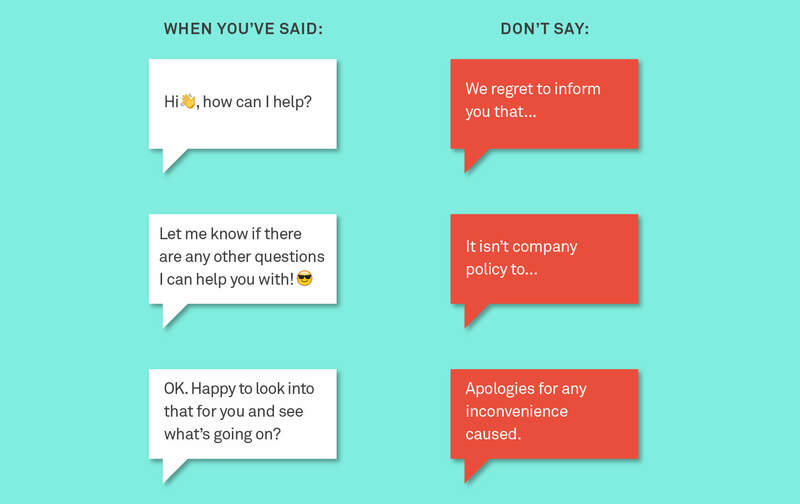 Advice on how to talk to tricky customers will come from the support team who have those conversations every day. If we’re writing about fundraising who better to do it than someone who has helped Intercom raise $116 million in VC funding. To de-mystify the process and hopefully make it easier for people from around Intercom to contribute to the blog, we drew up a set of principles that inform our writing at Intercom. It’s not a full blown style guide as others in our industry have created and shared. Instead it’s a collection of the main points of our style, illustrated with relevant examples, that a casual contributor needs to be aware of before they start writing. I’d advise any company that has more than one person writing for its blog to consider drawing up a similar guide. At the very least it’s a useful exercise to think about what you want to achieve with your writing and how you intend to do that. Here’s an edited version of that document – feel free to adapt or adopt for your own use. Be confident in your writing. BAD: The initial release of Google+ was potentially weaker than it probably should have been, with some commentators saying it could possibly evolve to be a failure amongst the search giant’s stellar product line. BETTER: Google+ was a disaster. No one used it. No matter how many new engagement metrics they invented, everybody knew it sucked. Even Googlers. BAD: Will this product succeed? Who knows, but there’s a couple of concerns that it’s going to have to address first. We wish them the best of luck. BAD: Whilst Facebook CEO Mark Zuckerberg has a motto of “Move Fast and Break Things”, certainly product security is not an area that this oft-reported phrase applies. BETTER: Security is one area where you don’t move fast and break things, no matter what Zuck says. This is really a corollary to speaking with authority. Unless you are an exceptionally good writer, like so good that you should be touting for a book deal, you are not going to sound authentic trying to be someone else. And really what’s the point of that anyway? 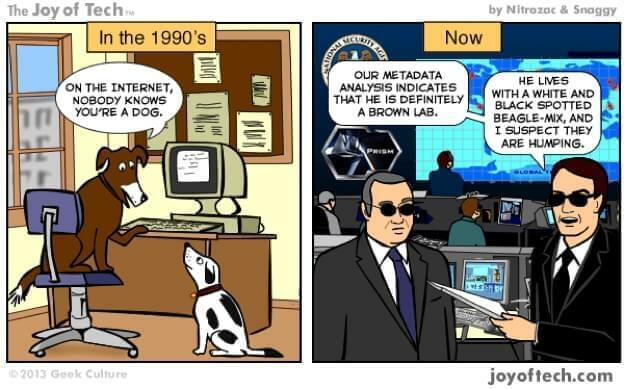 Over 20 years ago, the New Yorker coined the famous adage: “On the Internet, nobody knows you’re a dog”. But as Joy of Tech point out, that’s all changed in our hyper-social, over-sharing, NSA-snooping era. With a few simple Google searches anyone can find out you are a dog, what kennel you came from, and where you went to dog training. Write simply and clearly keeping in mind the audience you are writing for. In the case of Intercom that’s people in the software business, potential customers, potential new colleagues, etc. You should keep your sentences and paragraphs short. Remember you are fighting for people’s attention, and they can be gone with a click, so get to the point. It’s old school but use the 5 Ws: who, what, where, when, why to make sure you’re giving readers the full picture. You can also add “how” to that mix, if it’s relevant. Are you answering all those questions or are you making assumptions about what the reader knows? Write simply and be mindful who you’re writing for. One of the keys to being clear and concise is revising what you’ve written and editing it ruthlessly. This is definitely easier when you’ve taken a break, so when you’ve finished writing come back the next day and edit with a fresh eye. It’s not unusual for an article to shrink by 15% to 20% at this point. That can seem weird if you are not already a regular writer; imagine wasting 20% of any other resource that you’d spent hours creating. If you can’t be clear and concise in your writing it says a lot about the other things you produce. Des explains why here. BAD: The horologists of Switzerland may not have been overly concerned at the details of Apple’s great watch unveil, but with the Milanese-bracelet option the Cupertino giant showed it had taken the time to study great timepieces of the past. BETTER: Apple may not yet be ready to take on Swiss watchmakers. But the attention to detail on Apple Watch suggests a company which is in this for the long haul. The human brain is capable of processing images 60,000 times faster than text, which goes some way towards explaining why content with relevant images gets 70% more views than text-only content. We try to produce as many original images as possible for posts on Inside Intercom. We’re also fortunate to with the Intercom Brand Studio who work with a roster of talented artists who produce the editorial illustrations that accompany each of the posts we publish. Even if you don’t have those kind of resources here are also lots of sites where you can get free or low-cost images which don’t look like trite stock photos. 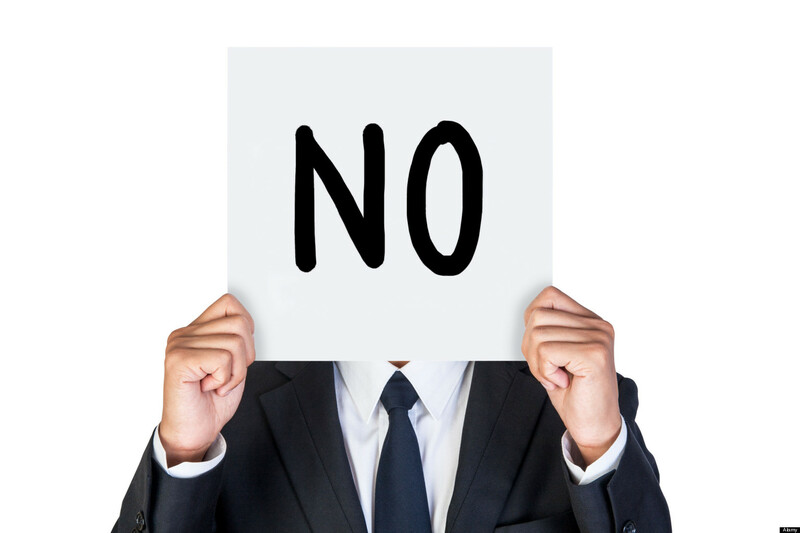 Let’s take a post we recently published, “How do you say no to customers?”, as an example. BETTER: Instead, one of our designers created a series of images like the below. Quickly you can see the different ways you can make saying “no” a bit more palatable for your customers. News is one area of content creation where there isn’t any long tail to speak of. Break a news story, or even just add some insightful commentary on the events of the day and you’ll generate a lot of traffic. Particularly if you make it onto Techmeme or the front page of Hacker News. But the following day that traffic will have dropped to 10% or less. Day three? We’re talking a trickle. Rather than climbing onto that treadmill where we constantly have to produce big hits, to date we’ve focused on producing evergreen content that has a long shelf life. That takes longer to achieve results but sticking to this strategy has paid off in spades. Articles that were published on Inside Intercom last year still regularly generate hundreds of page views a day. BAD: Writing a quick and dirty news story linking to the latest iPhone 8 rumor but adding no value. Headlines are where you sell what comes next. Your readers have limited time and there are competing demands on it – in many cases all they see is the headline before they decide to click through or not. A good headline helps you stand out from the noise. Kevin Clark offers some good tips (and gets bonus points for David Ogilvy references). 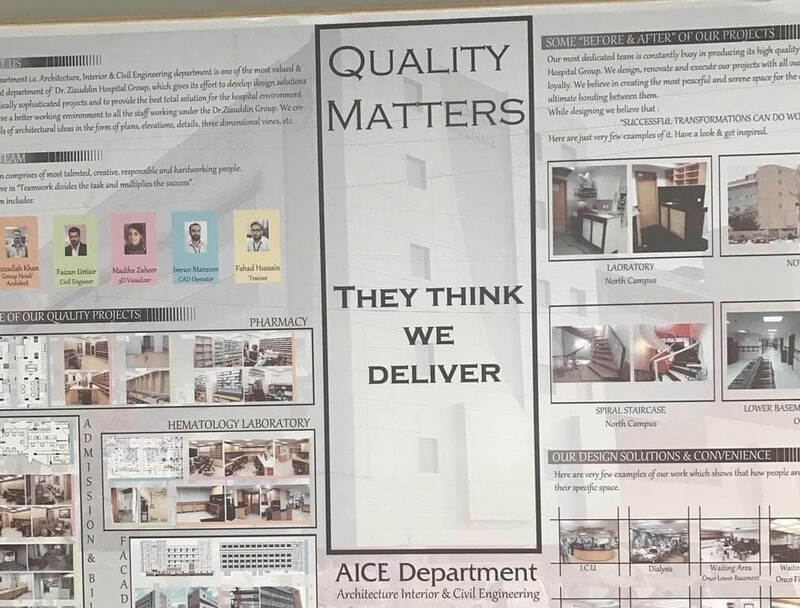 Punctuation really matters. Because bad punctuation has the power to make you look really, really silly. In fact all grammar is important, so if you are serious about this buy a style guide like the AP Stylebook, which we use. Be prepared to get into a conversation. At the risk of breaking our rule about cliches, when you start writing a blog or any other public-facing communications, you have to be prepared to get into a conversation. Yes, there are times it will get ugly and messy, but if it doesn’t you’re not following our guideline about speaking with authority. This is doubly important for us here at Intercom. We believe passionately in our mission of making business personal again and we are producing the communications tools to help people do that. If someone comments on something you have written try to engage with them in as timely a manner as possible. If someone is clearly trying to bait you into a flamewar, a simple and polite “thanks for your feedback” will suffice.